These licensed Mad Hatter eyebrows are perfect for completing your haberdasher's guise! 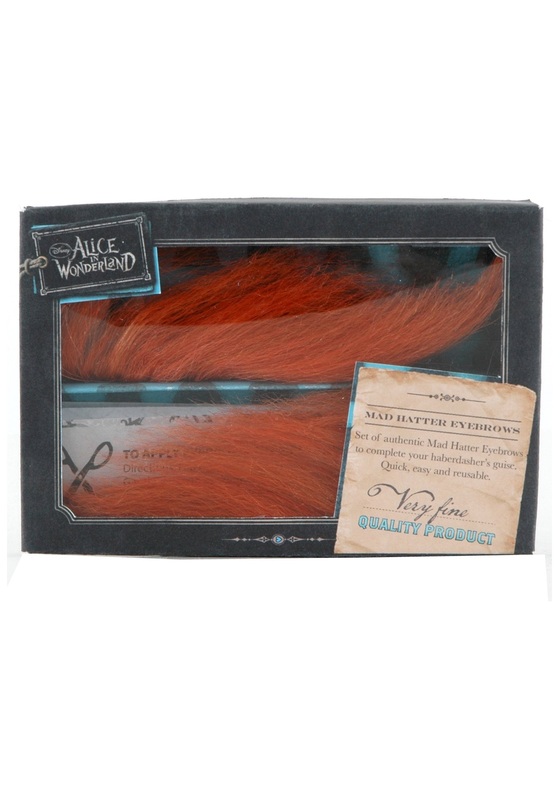 The quick, easy and reusable eyebrows consist of orange synthetic hair to give you Johnny Depp's unforgettable appearance from Tim Burton's Alice in Wonderland. The eyebrows have self adhesive on the back for hassle-free application and can also be applied with spirit gum for reuse (spirit gum sold separately). In addition, instructions are also included for application and styling. Get the complete Mad Hatter look when you add our character wig, hat and shoes!